This set of exceptional tweezers is perfect for use in many applications, including jewelry work, brazing, soldering and any type of small parts handling. 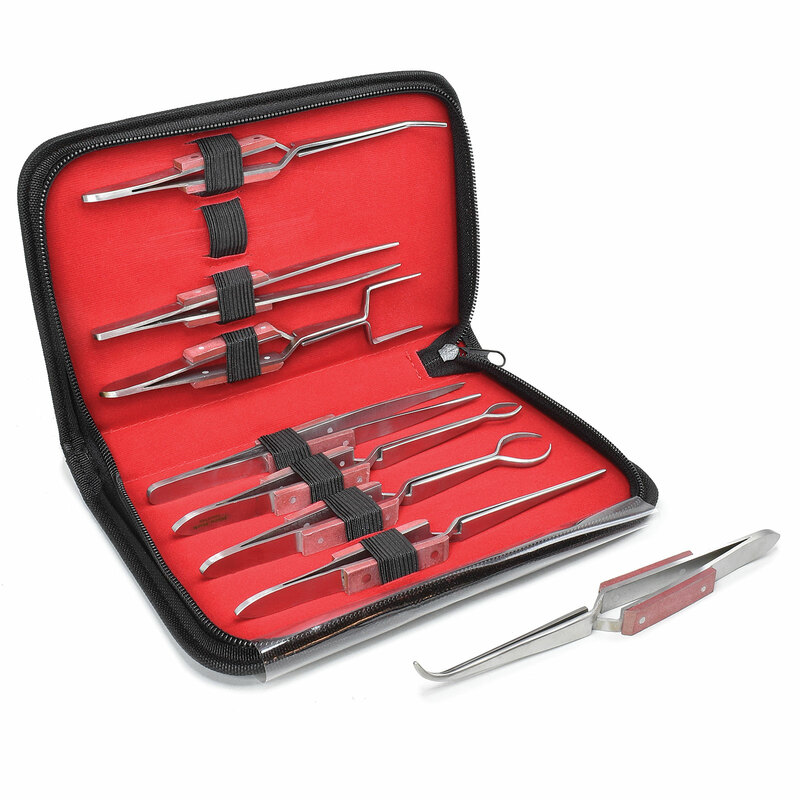 Set features 6 cross-lock type (self-closing) and 2 non-locking, all with fiber grips that protect the user from excessive heat when soldering parts. Sizes range from 6-1/4" to 6-3/4" long with serrated tips for sure grip. Cross-lock tweezers include straight, oblong (5/16" to 1" capacity), round (5/8" to 1-3/8" capacity), square (1" to 1-3/4" capacity), angled and curved; non-locking tweezers have straight tips and open/close from 0 to 3/4". 6-1/4" to 6-3/4" long. All are packed in a handsome zippered leather case.